A BOOK THAT CAN SAVE LIVES! "I read the book and was just overwhelmed! It brought back a lot of those old feelings, but at the same time, explained some things I hadn't yet gotten a handle on...I think the book is wonderful." "I was ecstatic to see your book! I have lived it. When I told my church I was leaving they told me to go back...When he battered me badly enough I filed for divorce, they told me I would undergo church discipline...." ~Lori, R.N. 5.0 out of 5 starsFinally! A great book from a woman's point of view! 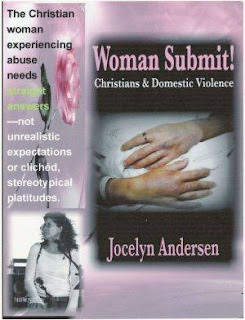 4.0 out of 5 starsHelpful to victim/suvivors of domestic abuse in a Christian context.